It was all mapped out in the stars. Ms Jenny Lee was transported from a sheltered life in Toa Payoh to New Zealand as a 14-year-old Girl Guide on her first trip outside of Singapore. She spent four weeks there in all but it was one week of camping that gave her an epiphany. At night at the remote campsite, she gazed at the stars and was powerfully struck by the vast array of possibilities that awaited her in the world. Singapore was so small, she realised. "No one told me that the world was bigger, I just discovered it," she recalls now. For Ms Lee, that galaxy of possibilities has translated into the adrenalin-pumping world of tech start- ups for whom she has become something of a guiding star. The Shanghai-based investor, who started out studying electrical engineering - and fittingly perhaps working on jet aircraft - has become one of the most respected investors on the Chinese tech start-up scene. 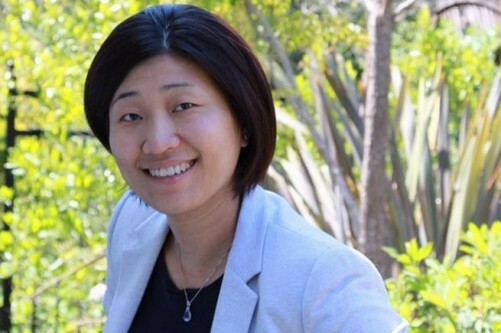 Ms Lee, 43, a partner with venture capital firm GGV Capital, has the Midas touch, having led the investments in many Chinese tech start-ups, shepherding them to their public listings on United States stock exchanges such as Nasdaq, or bourses in mainland China and Hong Kong. She is the first woman venture capitalist to crack the top 10 of Forbes Midas List 2015 which has been ranking the top 100 investors worldwide for several years. She came in at No. 10 and is one of only five women on the list this year. A self-professed geek, Ms Lee focuses on the tech, Internet, mobile and gaming sectors. In her 12 years as an investor, she has invested in about 30 companies. Her most recent triumph was when she led GGV's investment in Xiaomi, the fast-rising Chinese mobile phone upstart now worth more than US$45 billion (S$61 billion). She is believed to have invested some of her own money in the company as well. In venture investing in start-ups seen to have long-term growth potential, the risk of failure is very high. Ms Lee's record, however, has defied those odds. "Fewer than five companies have failed since I started as an investor in 2002," she told The Straits Times in a recent interview. Typically, those that failed had to shut down because their products were too early for the market. Or the management did not execute operations well or the company ran out of cash and investors ran out of patience, she explained. Even for those start-ups that have not done well, she has been able to "extract value" by arranging for them to be acquired. Entrepreneurs seek her out because she brings value to the companies. It is more than the funds she has access to - GGV manages more than US$2.2 billion in capital for investment. She brings to the table "smart money". Leading Singapore investor and serial entrepreneur Ong Peng Tsin told The Straits Times that Ms Lee's success is due to her "broad network of entrepreneurs, investors and tech professionals". What this means is that she has connections that can help start-ups find talent, markets and other investors. Her experience as a jet engineer in her younger days and technical knowledge mean that she understands commercialisation of technology and where business disruptions can occur. Mr Chua Joo Hock, the chief operating officer of leading Singapore VC Vertex Venture Holdings, said Ms Lee's key strength is "her tenacity and willingness to get things done in an economical and efficient way". Mr Chua had been Ms Lee's mentor when she interned at the Vertex office in San Francisco when she was a student in the US. Yet for all her success, Singaporeans know little about Ms Lee. She flies under the radar as she has no financial work history in Singapore. Her first job here was with ST Aerospace where she worked on jet fighters and drones. Based at Paya Lebar Airbase, she had no interaction with the financial community in Shenton Way. In China, where she has been based since 2005, she criss-crosses the country to meet entrepreneurs and find out what disruptive technologies they are working on. show interest in what they're doing." Very early in her career, she knew that she did not want to be a consultant or to found her own start-up as it would be too limiting. She likes to be involved in "a swathe of companies and technologies". VCs look at all sorts of business ideas. The key criterion for investing in any start-up is the entrepreneur. So she enjoys looking into the eyes of an entrepreneur to gauge his passion and desire to "win". While gender does not matter in venture funding, as a woman investor, she has an advantage, she said. "We've better antennae to understand the behavioural nuances that (give a) hint on whether an entrepreneur would succeed or fail." Best of all, the final decision to invest rests with her and "not a whole bunch of people trying to make decisions for me". The older of two children of a Chinese schoolteacher and a housewife, Ms Lee did not want to become a teacher as her mother wished. She had already made up her mind to study electrical engineering overseas. An ST Engineering scholarship took her to Cornell University. There, her ambition to become an investor was ignited. She had sat in on some business classes. One day, a professor gave a lecture on how VC funds allow companies to get financing. "I spoke to him and he said that if I wanted to be a good venture capitalist, I must either learn from good mentors - who are hard to find - or go and work for a company and then come back into the VC world with industry experience." So she returned to Singapore to work at ST Aerospace as a jet engineer. The five years she spent working there taught her about the commercialisation of technology and company strategies. In 1998, she was sent to do a master of business administration programme at the Kellog Business School in Northwestern University in Illinois, US. She took courses related to entrepreneurship like finance, marketing and business modelling. Simultaneously, she interned with a VC firm in Chicago called OCA Ventures. She worked there two days a week and attended classes the rest of the time. She also arranged for two internships, one of which was with Vertex. In her first week there, she was already involved in drawing up a deal with a start-up. She found the work exhilarating and was convinced that she wanted to be an investor. She broke her bond with ST Engineering and repaid her loan by borrowing from her husband's family. "My friends told me I was crazy to leave the iron rice bowl that ST Engineering provided. But I had to take the risk. To get what you want, you must get it yourself," she said. Unfortunately, the Internet bubble burst in 2000 and the United States stock market crashed, so she headed to China, which was going through a tech boom. She got a job with investment bank Morgan Stanley in Hong Kong in 2001, where she received valuable grounding in capital markets. Japanese VC firm Jafco Asia came calling a year later. The company introduced her to investing in young tech start-ups in China, Taiwan and South Korea. But she knew that to get into the venture game in China, she had to be based there. When the American GGV offered her an opportunity to start operations in China, she moved to Shanghai in 2005 with a suitcase of money. "In those days, it took six months to start a business in China. I needed cash to pay my staff of three there," she said. She is on the road constantly to "keep in touch with what is happening on the ground and listen to what people are doing". Ms Lee, an alumnus of CHIJ St Nicholas Girls' School and Hwa Chong Junior College, continues to gaze at the stars, especially when she goes on trekking and camping holidays with her husband, who works for Google in Silicon Valley. She uses the time to recharge and think of what new trends are ahead. This happens once every two to three years when she escapes for two weeks. Who knows what possibilities she imagined when camping out in the Russian peninsula of Kamchatka.